An enigmatic object discovered not far from one of the Roswell crash sites is said to posses some weird properties. Is it some kind of message or an alien key? In 2004, Robert L. Ridge, the 56 year old owner of a body shop in Roswell, New Mexico went out bow hunting. Little did he know he would chance upon a strange artifact that has since been dubbed the Roswell Rock. On September 4, while scouting a remote area for potential prey, Robert saw a small rock covered with dirt. When he cleaned it and noticed the strange symbols carved on its surface, Bob knew he had found something special. The patterns strongly resembled the ones usually depicted in crop circles: two crescent moons joined at the corners. Mr. Ridge said that the rock had been machined so perfectly, it must have been made by beings who were clearly intelligent and advanced. Because of the proximity to one of the two Roswell crash sites, the rock soon became the subject of heated discussions regarding its potentially alien origin. Several UFO researchers have examined the strange artifact and it was even featured in an episode of G. Tsoukalos’ Ancient Aliens. The battery of tests performed on the Roswell Rock were unable to determine whether its origins were alien or terrestrial. If the rock is indeed alien, the fact that it was found near the place where a flying saucer crashed (or was shot down) in 1947 could mean one of two things. It was either aboard the UFO and managed to remain undiscovered for 57 years, until Robert nearly stepped on it or it was planted at a later date by a different alien crew. If this is the case, it could mean that we’re not so different and the Roswell Rock could serve as a kind of memento for their fallen brethren. 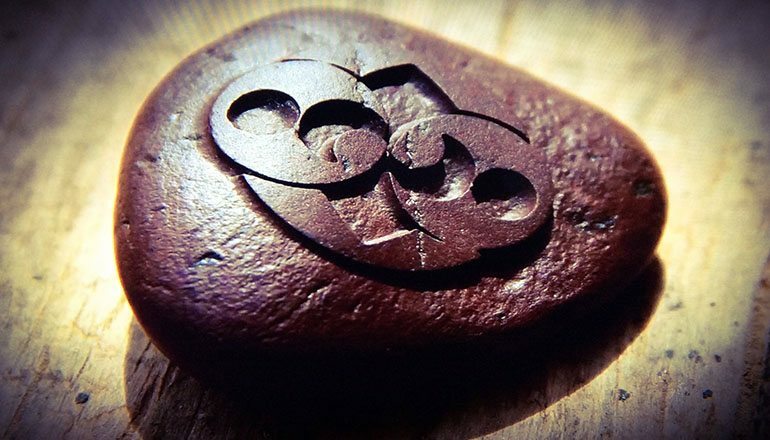 Speculation around the chocolate colored rock are abundant, with one of the most popular theory suggesting that it is in fact an alien message. When inspecting the engravings, we notice the rock features a crescent with a smaller circle underneath it. This image is mirrored and both of them are encircled and overlap a larger circle with diamond-like cuts in it. Some say the larger circle represents an asteroid that will fly between the Moon and the Earth and that the aliens intended to leave behind a cryptic warning meant to save who was smart enough to decipher the message. Other conspiracy theorists maintain that the outer circle represents the Sun and the smaller circle containing the Earth and the Moon is the planet Nibiru and that the rock signifies major changes are approaching us. Another theory states that the mirrored images could point to the existence of a parallel universe that can be accessed through a portal. In this case, the rock could offer us a clue about the existence of an unopened wormhole here on Earth. 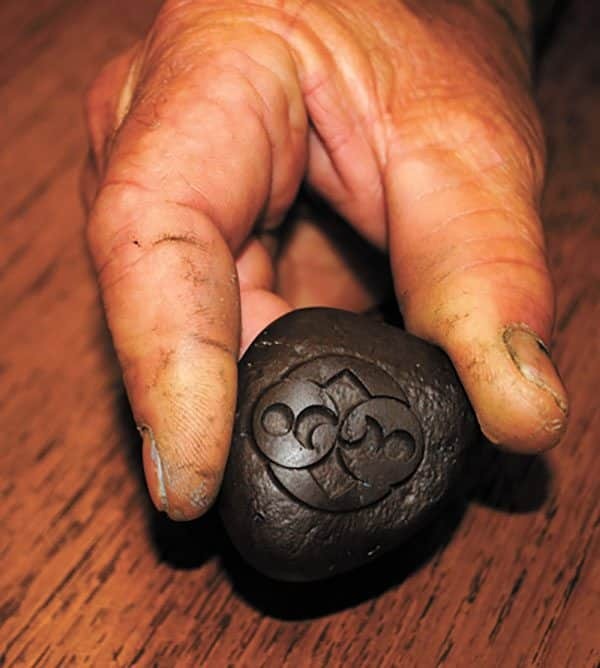 The fact that in 1996, 4,000 miles away from Roswell, the same symbols appeared in a field in Chiseldon, U.K. does little to help solve the mystery of the rock. If this is a key indeed, is there a chance we will ever find the doorway it unlocks?